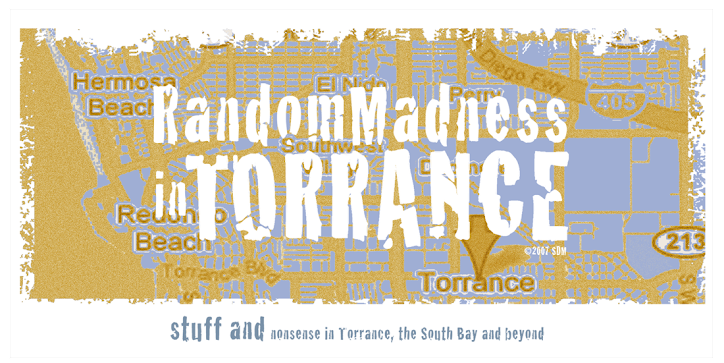 Random Madness in Torrance: Sunday - Give it a Rest? A couple of weeks ago, on a Sunday morning, there was work going on behind my home where a three unit condo/apartment is being constructed. A caveat for getting their permit was that there was to be no construction on Sunday. Apparently, the owner of this truck either didn't get the message or decided to ignore it, so I had to make a call to the appropriate folks at City Hall. 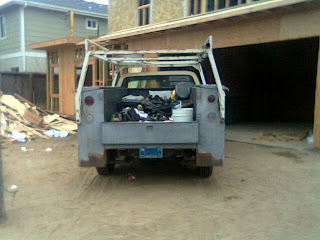 I also snapped a photo of the truck, for posterity. I've decided I'm going to post photos of any issues that crop up. 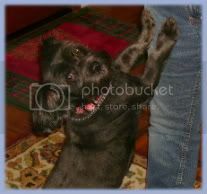 Just for giggles. Fortunately, not too many have cropped up lately - other than I get to wake up to pounding and banging every day at 7:15 in the morning. Part of me says this guy probably was not told about the Sunday rule and was just trying to get in some work. If they say there is to be no Sunday work and you let it slide once in a while, they will try to get by with it every Sunday. There should be at least one day in a week when you don't have to wake up to hammers and saws. The guy from the city said that we could call the police, and the guy would get a citation for disturbing the peace. I didn't want to go that route because, like you said, he was a subcontractor, and probably wasn't told about it. The planning commission is putting forth recommendations for a change to the existing construction hours - they recommended cutting the hours, and making Sunday an off day permanently, for construction requiring permits.